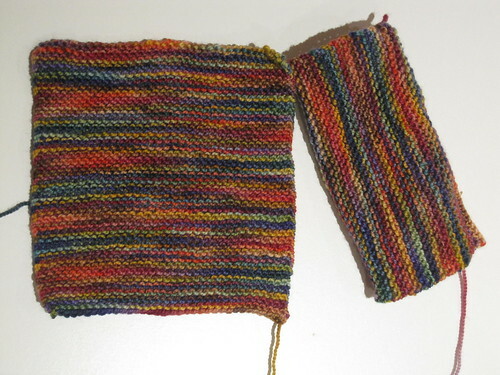 FO: There's nothing like garter stitch squares for instant gratification. Last week was uncharacteristically warm in London, so I was able to pull an ostrich over the fact that my children don't wear coats unless they have too, and certainly don't put anything on their hands! 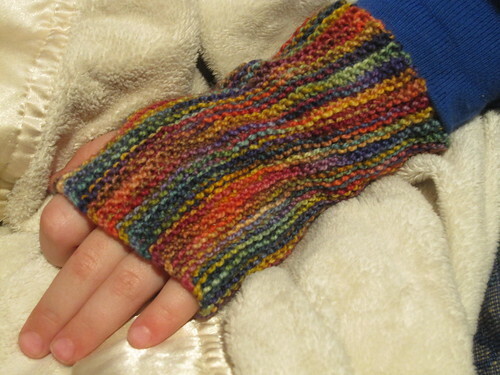 This past Monday temperatures were more "seasonable" and I decided it was time to bite the bullet and get something for the girls' hands. Some fingerless mitts for Devil, in some lovely Koigu KPPPM that she picked out at Stash on our very first visit way back in June. Cast on 35 stitches on US 3/3.25 mm needles, knit until the "square" was big enough to fit around her palm (~5.75 inches) and sewed them up the side, leaving a gap for the thumb. 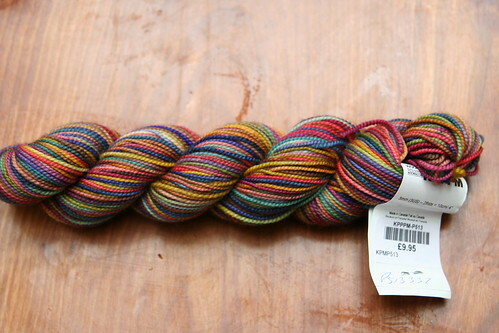 I never would have picked out this yarn, but I love how it knitted up. The colors blended beautifully in a range of gorgeous jewel tones. Now I want enough to make a sweater. For me. Written by porpoise On November 5, 2009 In "Devil", "handwear"